Russia's State Duma passed at third reading a bill that would charge 18% VAT - the so-called "Google tax" - on the sale via the Internet of electronic services, games, music, books and video products, to Russians. Services subject to VAT will include providing, via the Internet, the rights to use computer programs, including children's games and databases, as well as online advertising services, tender offers for the purchase of goods and services, support for electronic resources, provision of domains and hosting, rights to the use of e-books, music, graphic images and videos. Online services will not include the sale of goods if they are not delivered via the Internet, the sale of programs and databases on physical media and the provision of Internet access services. Foreign companies, including intermediaries, will have to register with the tax services and pay VAT. They must apply for tax registration within 30 days of starting to provide the aforementioned services. The law states that Russia will be considered to be the location in which foreign companies sell content. 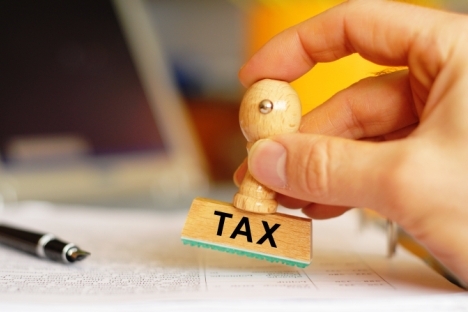 Existing VAT preferences for Russian companies will be preserved. An explanatory note to the bill states that a situation is emerging in the Russian market where Russians are finding it more advantageous to purchase this content from foreign companies as the cost of that content does not include VAT. Duma deputies said that in international practice, in the EU, South Korea and Japan, e-services are taxed on the territory of the country where the consumer lives. It is envisaged that the law will come into effect on January 1, 2017.